The Bahraini government will reassess plans to raise domestic diesel prices from mid-January, the kingdom’s prime minister told lawmakers on Tuesday after some boycotted parliament in protest, state news agency BNA reported. Bahrain’s National Oil and Gas Authority (Noga) announced plans on Decemebr 23 to raise the price of diesel from January 15 to reduce the heavy subsidy burden on state finances. Several members of parliament boycotted their weekly meeting on Tuesday morning in protest over a series of planned annual increases that would have seen diesel prices nearly double over the next four years. In response, His Royal Highness Prime Minister Prince Khalifa bin Salman Al Khalifa visited parliament to tell lawmakers the price hike plan should be reviewed so parliament could make a final decision on raising diesel prices as soon as possible, according to BNA. The International Monetary Fund warned earlier this year that Bahrain urgently needed to reform its economy to stop its debt burden becoming unsustainable. Like other countries in the Gulf, Bahrain heavily subsidises fuel prices for consumers, despite the pressure on public finances that this creates. The current fuel price proposal – which would see diesel rise by 20 fils to 120 fils ($0.32) per litre on January 15 and hit 180 fils in January 2017 – is intended to reduce government spending on cheap diesel for all so more scarce government funds can be better targeted at Bahrainis. “Subsidisation is an exclusive right to Bahraini citizens,” state news agency BNA quoted Deputy Prime Minister Sheikh Khalid bin Abdullah Al Khalifa as saying on Monday. “Due to a delay in reviewing the government subsidisation schemes, there has been a leak of great amounts of money which should have rather benefited citizens,” he told a joint parliamentary-government meeting on the planned price rises. Gulf countries have seen a surge in immigration over the last 10 years. Immigrants make up around 55 percent of Bahrain’s 1.3 million population, according to the International Organization for Migration. Government-set cheap fuel prices prevalent across the region benefit all motorists, regardless of nationality. 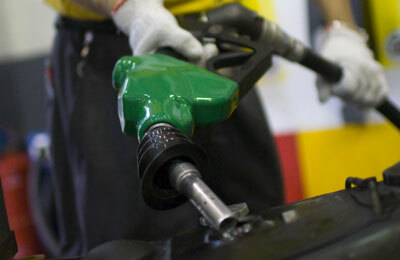 Gulf governments spend billions of dollars a year on fuel subsidies. Although there is growing recognition of the need to raise fuel prices to better reflect international market rates, Gulf governments have become especially wary, in the wake of the Arab Spring uprisings that began in 2011, of provoking public unrest among their citizens. The deputy prime minister said the government and the Bahraini opposition agree on the importance of redirecting the subsidies so they exclusively benefit Bahraini citizens.